Austhorpe Hall is a Grade II* Listed building to the East of Leeds in private ownership. Our client commissioned us to create a private gallery space within the setting of the existing house. 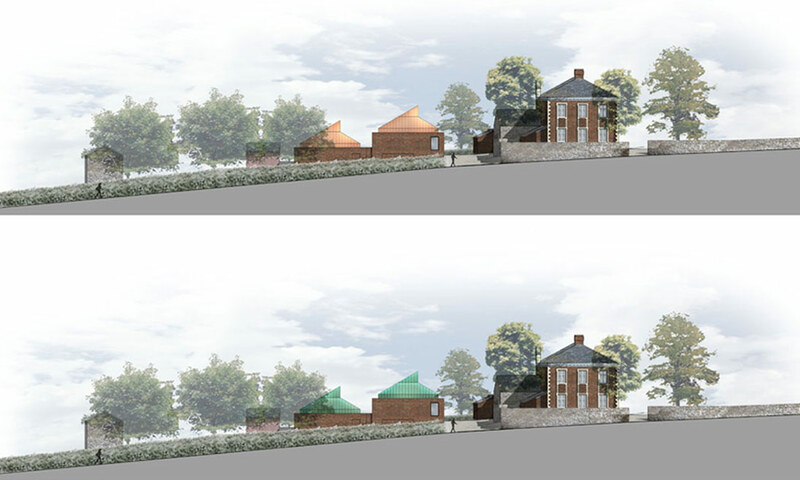 In order to minimise the impact on the setting, we have chosen to replace a collection of out-buildings with a sensitively designed modern building that sits comfortably within the sloping gradient of the site. The new building form is broken down into component parts that reflect the scale and form of the different gallery spaces within. 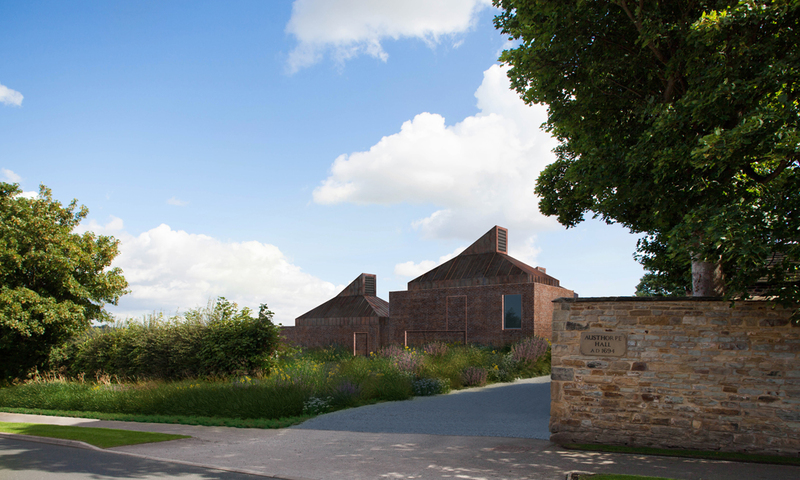 Externally, the simple forms are clad in a hand-made brick to match Austhorpe Hall. 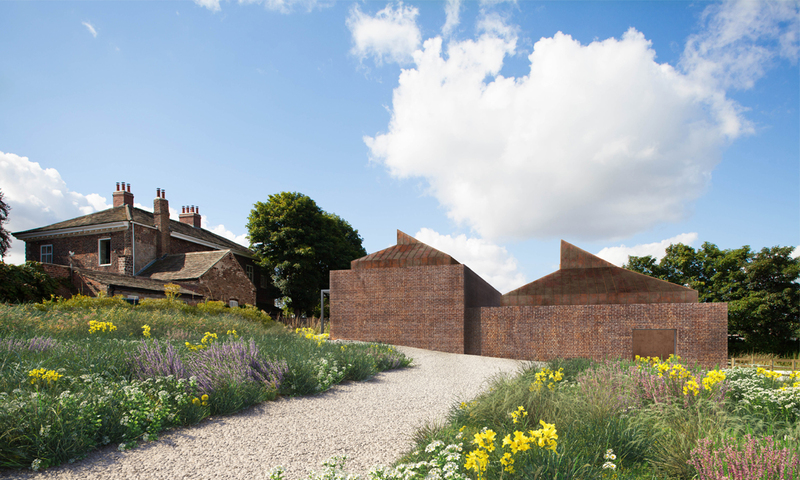 The roof material, copper, has been chosen due to its relationship with time. Copper takes 50-60 years to transform from the initial orange/red colour to the green patina, and this length of time is important. We wanted to reflect the fact that the architecture, as with the artwork housed within, has a greater longevity than human beings. 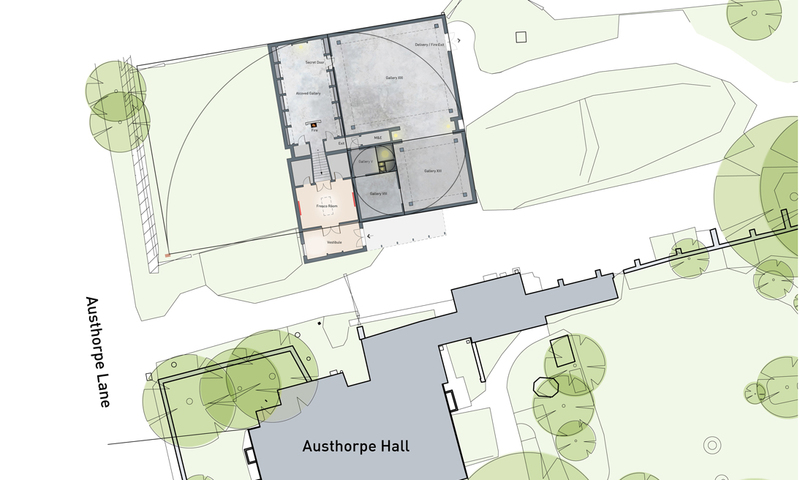 This has been so admirably shown by Austhorpe Hall itself, and we wanted to compliment it with the addition of another high quality building that stands the test of time..